Wow, another month is quickly drawing to a close - where does the time go!!! For my last card for the month of April here at One Crazy Stamper, I have colored up the gorgeous Tress Winking image from Make It Crafty. Hello friends, it's my turn to do a tutorial and I seen a lot of different bows out there, from ribbon, tissue paper, big, small...tons. I do have a bow maker too, I mean there are tons. So this is one more Bow making tutorial. A paper one, and pretty simple using some spellbinders or punches. I used a small oval punch, large oval punch and the Ribbon Banners Spellbinders some glue dots and some pearls. I hope the pictures help and I will write a few instructions, but again, pretty simple. Thanks for stopping by and I hope you have time to get in your craft room and make a "Paper Bow" for your cards. The small and large oval I wrap around a pencil and put a small glue dot on the end, don't pinch this that is why I use a pencil, otherwise your bow won't be round. I cut the spellbinder ribbon banner in half. I then add some glue dots and start the layering, bottom working your way to the top. Once I think I have it how I like it, and I adhere it to the card. Adding some pearls or bling, sometimes a small button looks good too. Here is my supplies and my finished card. Hope you get a chance to try this paper bow, there are so many versions out there, but thought this one was pretty simple to share. It's another sensational Saturday!!! Today I'm using the cutie by C.C Designs and a bunch of my new dies. I felt like having fun, so I coloured her with bright blue hair. I've been waiting so long for these spellbinder feather dies and just love them! I can't wait to play around with them some more. Now it is your turn to get crafty, there is only a few days left to play along in our "Anything Goes" challenge. I hope that you enjoyed today's post, just remember there is only a few more days to enter your project into this month's Challenge! Good morning my fellow crafters!! Today I have coloured up this cute image titled PENNY'S PRESENTS from CANDIBEAN..I just think she is adorable..First I stamped her on WHITE CARD STOCK using MEMENTO TUXEDO BLACK INK..Then yep you guessed it I filled her in with various COPICS and shaded with none other PRISMA PENCILS..that niffty little bow was made using BOW-EASY love this tool..All of these supplies can be found over at the fabby store ONE CRAZY STAMPER..the best thing is the price are great and there is always a sale..Now who doesn't love a sale.. It has been quite a while since I have been able to use any other mediums then Copic Markers, so I thought for today's post for One Crazy Stamper, I would try the Inktense pencils. I also went out of my comfort zone a bit. I used this same image on the 1st of the month, completely different layout and Copic Markers were used at that time. 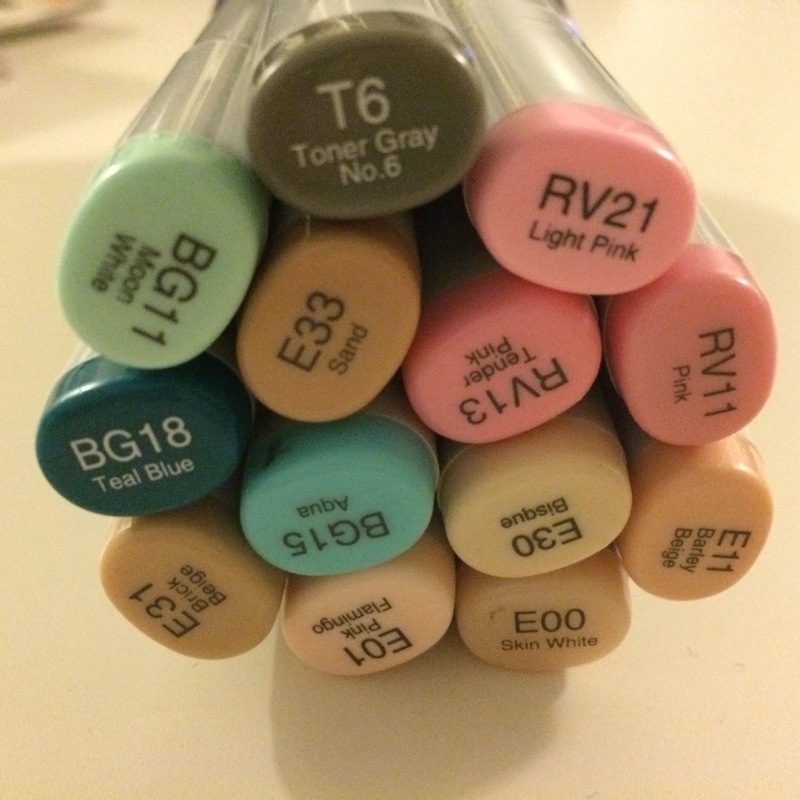 I touched a wet paint brush to the tip of the Inktense pencil and transferred this to a craft sheet. This was done a few times, so that there was a small pool of colour on the sheet. I used a stem stitch and Hot Pink Sulky thread around the die cuts. There are still a few days left to enter this month's "Anything Goes" challenge. Please DO NOT use a Digital Image. 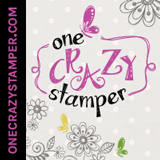 In the meantime, check out Lora's store One Crazy Stamper for some amazing deals. The image is Daisy and Basset, from Little Darlings Rubber Stamps and is available to purchase at One Crazy Stamper here. I colored the image with Copics, then fussy cut it out, and layered on a doily die from Cheery Lynn. The dp is from Authentique's Sweetness collection and the sentiment is from my stash. You still have time to enter this months challenge here at One Crazy Stamper, the theme this month is Anything Goes with an actual stamp - no digital stamp images allowed! Hello Friends! 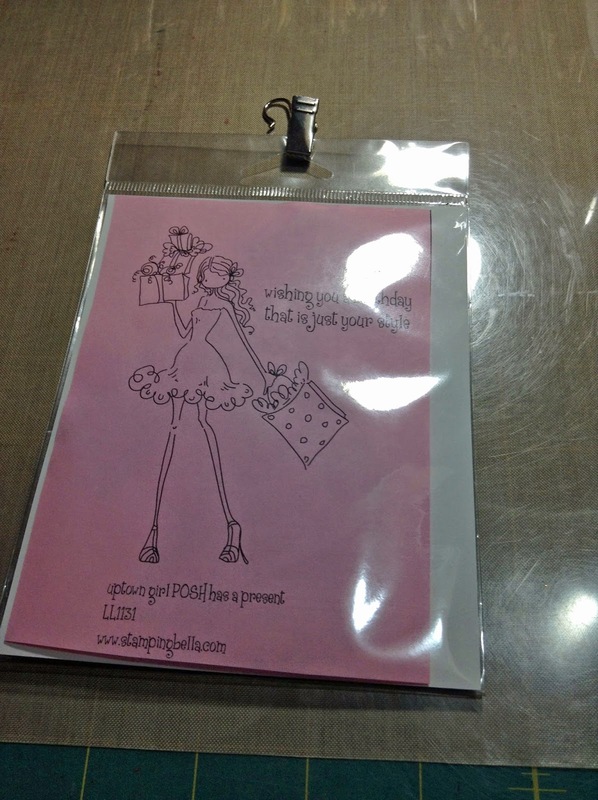 Thanks for stopping to see this cute card I created. 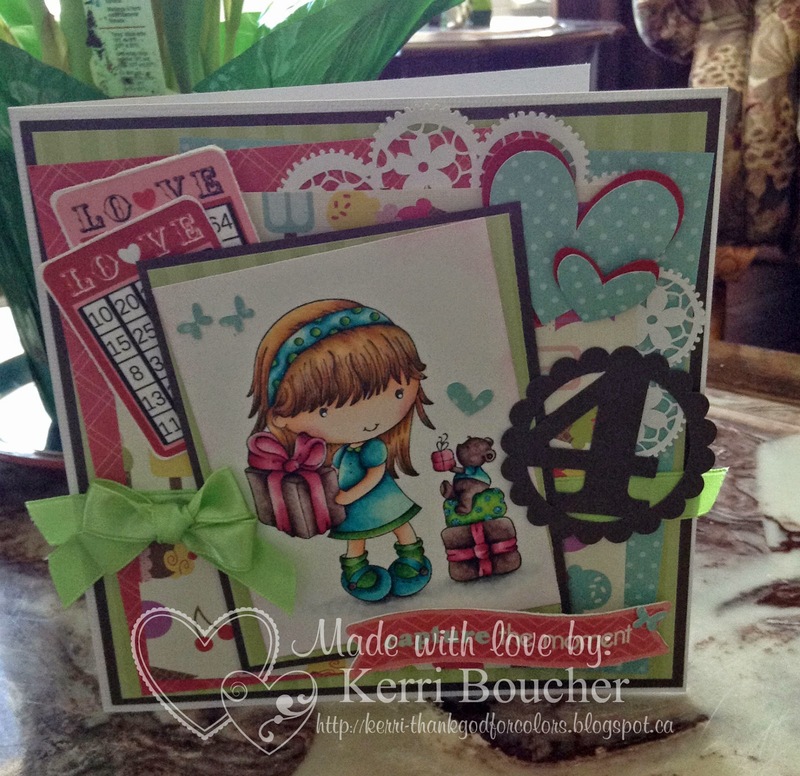 Our challenge at One Crazy Stamper this month is Anything Goes. We are show casing a variety of stamp companies this month, and my little friend is from the company Wild Rose Studio Stamps. Play along with our challenge, stop by Lora's store and do some shopping. Till next time happy crafting. I think she is pretty cool. My Supplies are~Pattern Paper-MME, Glue dots, Foam 3D Squares, Corner punch, Xpressit Copic Cardstock, Twine, Pearls, Stamp-Wild Rose Studio, Spellbinders, Copic Markers-C0, C3, C5, E93, G24, RV66, R55, BG11, BG13, BG15, Y32, Y38, Y35, Y08, B12, B14, B16, R00, R02, R05, R08, 0. Hello crafty peeps! I would like to say Happy Easter to all and share my very first Easter card ever, I also have a special bonus card from my daughter. For my creation I incorporated a few aspects from my shabby chic tutorial as did my mini me. I used a mixed medley of memory box dies. combining tiny tulips with the grassland border. The tulips were cut with yellow cardstock, then coloured with copics and glittered with stickles. I added lots of bows with some twine, then used my yellow pearl pen(which I think is the perfect shade of yellow for Easter). In Peanuts by Charles M. Schulz. Be sure to join us in our "Anything Goes" challenge!!! 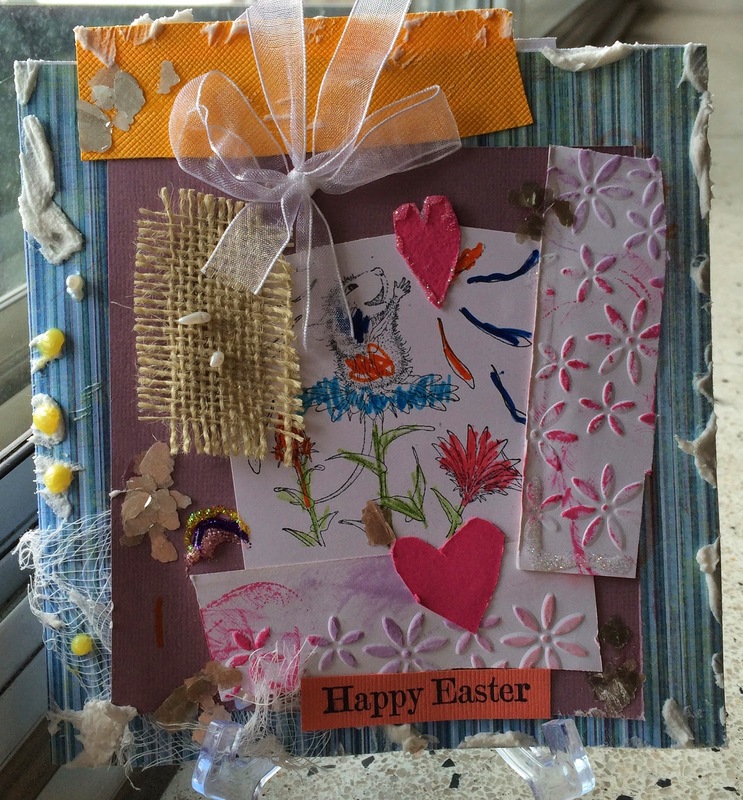 Here is my daughters "Shabby Chic Easter Card". 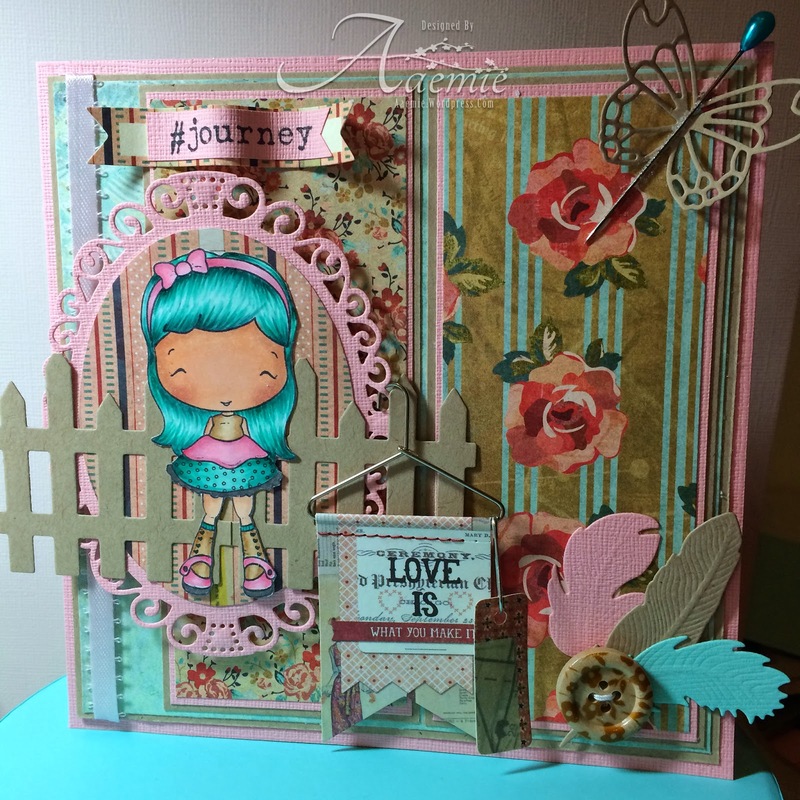 She did the layout and placement of everything herself, even the mica and embossing paste. There is also a little rainbow done in stickles! As you can see I have changed the jelly beans and made them PEANUTS and then came up with a sentiment using my fonts to say "Go Nuts" to play off of the peanuts! 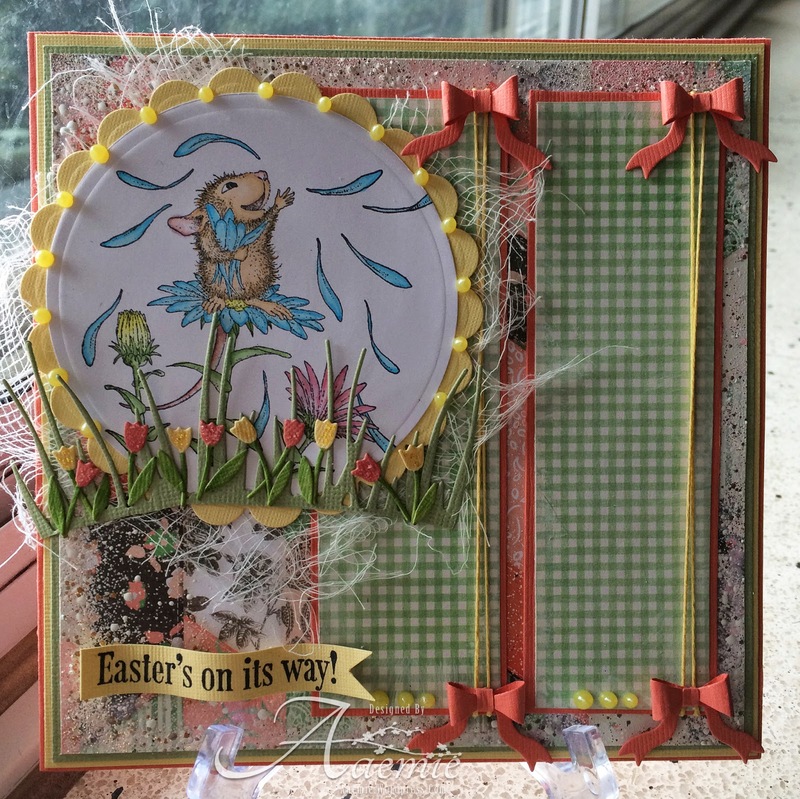 Here is a look at my previous card as well as this card - as you can see I used the same layout on both cards to show you that this stamp is very versatile and not just for Easter! I hope that you enjoyed today's card and I wish you and your family a safe and wonderful Easter weekend! I would love to hear your thoughts about how I used this wonderful stamp! Posh is in the House!! 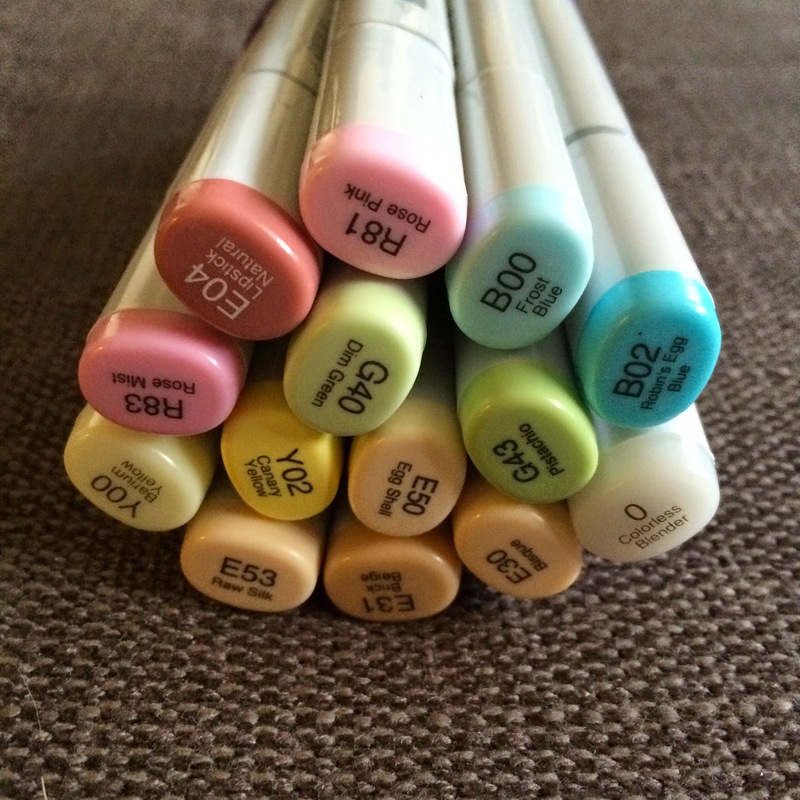 COPICS USED TO COLOUR POSH!!!! It is another Wacky Wednesday and mother nature seems out of synch with the weather. Sunday was a beautiful Spring Day and yesterday it snowed; it seems winter came back. Wish Spring and Summer would hurry up and come -- I certainly hope that summer will not be as extreme as winter has been. 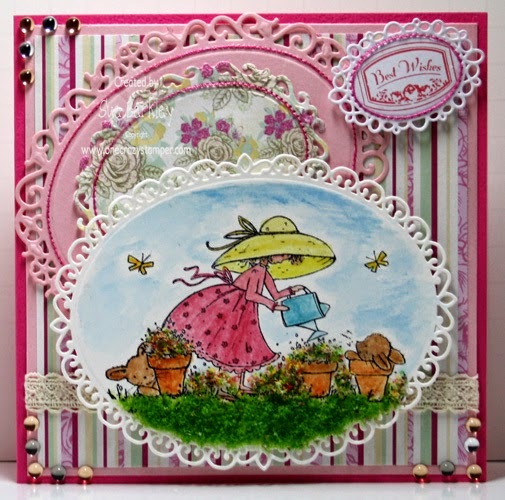 For today's post for One Crazy Stamper, I have used this adorable image from Wild Rose Studio called Bella Sleeping; a perfect image to welcome a new addition to a family. There is still plenty of time to play along at OCS's "Anything Goes Challenge" this month; please do not use a digital image for a change to win a YNS prize pack. Also check out Lora's store OCS for some amazing products and prices. The theme this month at One Crazy Stamper is Anything Goes, but please do not use a digital image! The design team has been busy showcasing their wonderful creations to inspire you, and we would love to hear from you! Thanks for stopping by, this month our challenge is Anything Goes and would love for you to play along with the design team. We are show casing a variety of stamp companies this month and today, mine little friend is from the stamp company Stampendous and I just love this little mouse, isn't he so cute. I know I am giddy about him. Anyway, play along with the challenge, take a peak in Lora's store for some great sales, and stock up on all your supplies needs. Till next time Happy Crafting, and lets have some fun. Supplies~Stamp-Stampendous, Copic Markers, Xpressit Copic Cardstock, Border Punch, Rhinestones, Little Darlings Pattern Paper, Ribbon.